It’s the month of celebrations! The Hornbill and Orange Festivals are just over, and Christmas and New Year celebrations are on the way. This festive season can be a time to ponder upon the significance of festivals and morality in the context of the Naga society. 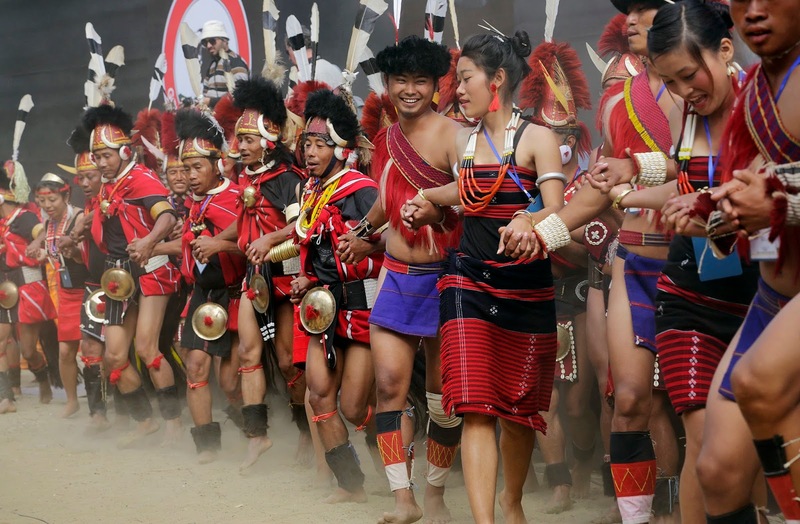 Festival without morality is posing a threat to Naga society. This fact needs to be realized lest demoralization overtake the society. The moral status of the people seems to be diminishing day by day with the advancement provided by modernization, the amenities available in terms of technology, and the changes in our mentality aided by the spread of education. What exactly are we celebrating? During the early period of the Nagas’ conversion to Christianity, the commitment level was ardent with the earnest sense of respect for God, elders and festivals.. However in our society which is constantly evolving, the moral standards are degrading stealthily, resulting in the birth of a new generation that is more “liberal”.Where there are strong moral and ethical standards, the society progresses in peace and harmony, and it is religion which teaches us to uphold to these principles. Yet our present generation has failed to live up to the teachings of our religion. Lack of religious values in any society is one of the causes of immorality. The fading of morality in our society can also be traced to the adoption of many unethical practices. With this new attitude which undermines our sacred values, all religious fervor, spiritual awareness,traditional solemnity of the festivals, and social concerns are shaping and forming formidable social structures- the beginning of a dooming end. Today, our society needs a fervent Christian culture with a high sense of socio-moral obligation toward building and making a better and humane society. Most of us are generally failing to come up to the level of true spiritual progress and humanitarian advancement. Evils are prospering and spirituality is fading. The latter should exceed the former if our people are to advance as a Christian state. It is high time that we reckon the time and define the moment for a change that will bring about social and national transformation in the right perspective. Our mental outlook must be guided by our spiritual discernment which in turn should be driven by a right sense of perception about the truth. The human mind is the factory of all evils when morality is devoid in the heart. When morality runs strong in the heart, human conscience is awakened. It is said that our conscience is the voice of God. When we stop listening to our conscience, we disconnect our relation with the divine. The result is disease, problems, and chaos. Human greed and pride deaden the conscience. A benumbed conscience cannot discern the truth. A true Christian can be a world changer and serve as a guiding light. When festivals are celebrated for the mere pleasure of merriment, their true purpose and meaning is soiled. This is happening with the shifting of attitude and motive from moral based celebrations to commercialized and fashion oriented revelry.Festivals in the context of the Naga society are age old traditional celebrations with solemn ceremonies involved.Traditionally festivals were celebrated with a sense of worship. Is the current nature of festivals in our society more of a formality rather than solemnity? .When we generally observe the usual way festivals are celebrated, Nagas are seen to be absorbed, immersed and drowning in the pool of a materialistic world and spiritual darkness. Evidences can be cited in the way Christmas is being celebrated today in our society. For many, Christmas is merely seen as an informal festivity for fun, rather than embracing the birth of the Savior in their hearts. When we look at the nature and flow of the celebration, for many, the spiritual element is less emphasized. Instead the focus falls on feasting, drinking, and decorating. This has become an accepted norm or culture for many in our society. There are some of course who truly celebrate Christmas with the dignity it deserves. But it is also true that many of the present day Christians are celebrating Christmas and other religious ceremonies as social occasions, with not much difference from that of the Hornbill and Orange festivals. We need a defining moment for each individual and society so a mass reformation drive through awareness, orientation, and reverence can take place in the society. Our society can experience a revolution when we begin self reformation.